Bollywood's festive fervour, in full swing! 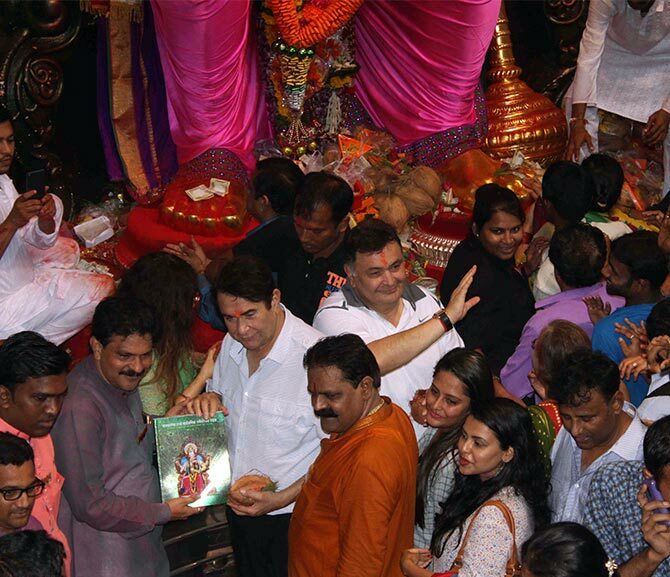 Before biding goodbye to Lord Ganesha on September 27, Bollywood actors go for a final visit on Thursday September 25. 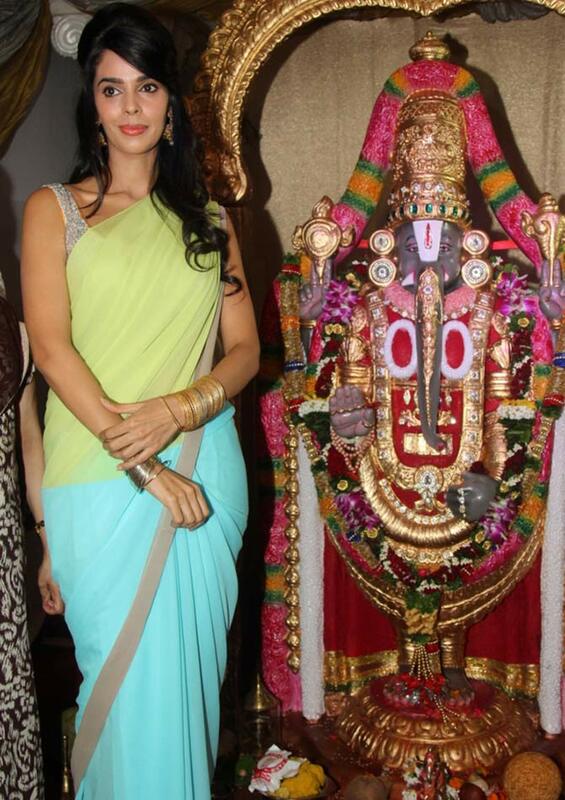 Malika Sherawat visited the Ranjit Studio in Dadar, central Mumbai. 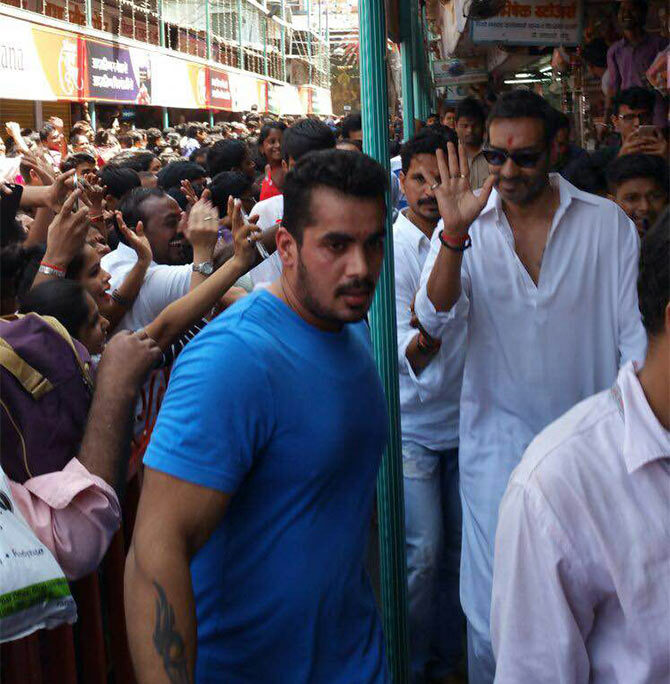 Ajay Devgn visits Lalbaugcha Raja. 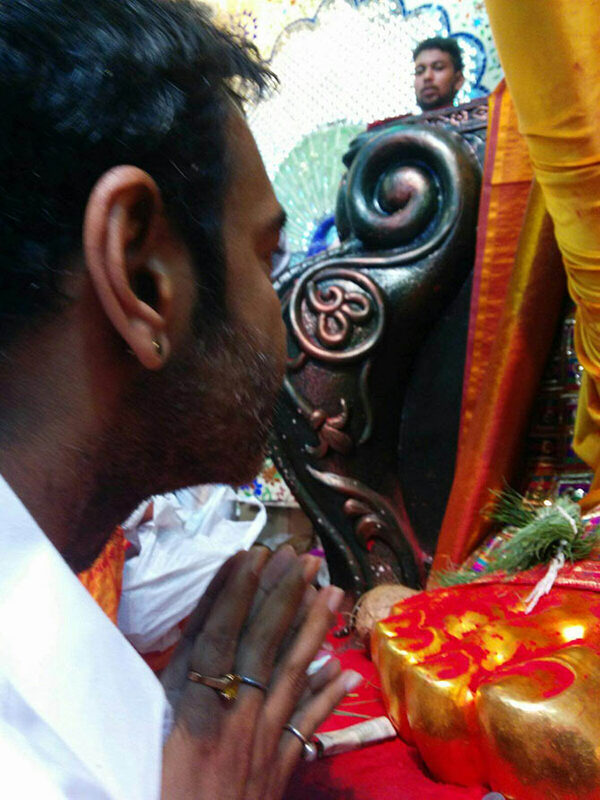 Devgn offers prayer to the Lord Ganesha. 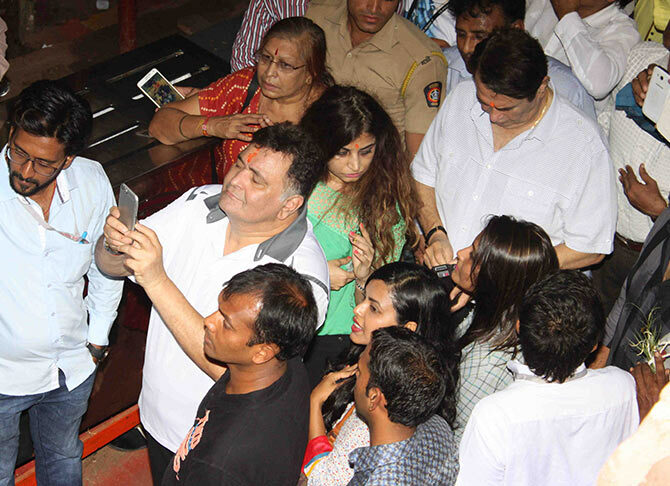 Rishi Kapoor and his elder brother Randhir Kapoor take pictures of Lalbaugcha Raja. Rishi Kapoor waves to his fans.